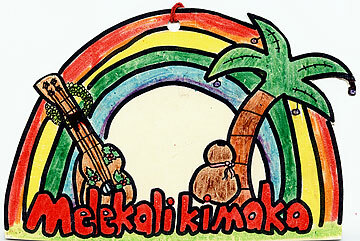 Nicole Yamane's ornament emphasizes the "lucky we live Hawaii" motto. No snow or freezing weather here, just rainbows, sunshine and kanikapila days. Eleven-year-old Nicole attends Iolani School and is a student in Mr. Kobata's class.